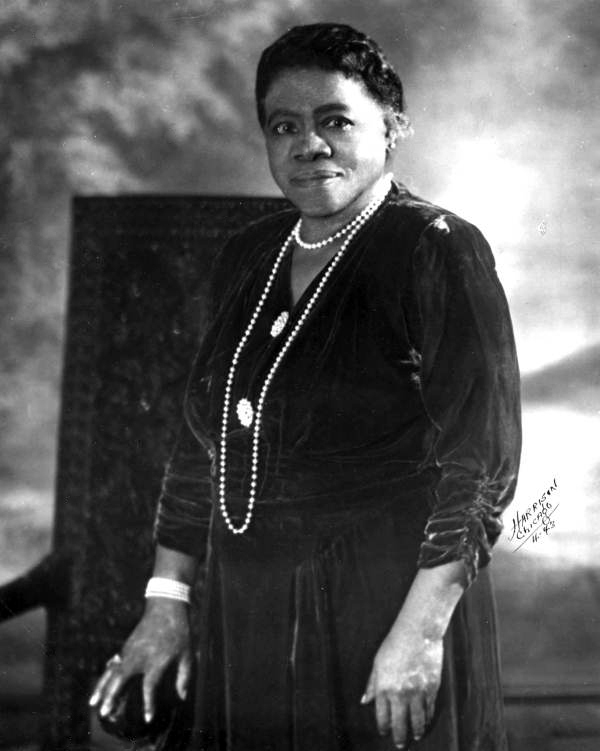 Mary McLeod Bethune picture, pr00753. Florida Memory. State Archives of Florida. Mary Bethune was born in 1875 South Carolina to freed slaves, who sent her to a school for African-American children ran by a local church. Because of her love for learning, she was sponsored to attend Scotia Seminary in North Carolina. There she earned a scholarship to attend Moody Bible Institute, where she was the only African American student. She spent the next few years teaching throughout the south, sharing her enthusiasm for learning with young minds. She was not living her dream, however, which was to open a school for African-American girls, to teach them life skills as well as reading, writing, and arithmetic, and give them a chance to make something of themselves. So she moved to Daytona and bought a tiny, unfurnished house, the first building of the Daytona Educational and Industrial Training School. Tuition was fifty cents a week, and she and her five students held bake sales to raise money and made do with the most barren and makeshift of furnishings and utensils. After a time, however, 14 buildings were spread across the 32-acre campus, including a farm which helped support her 400 students. In 1923 the school merged with the Cookman Institute, and the school stands today under the name Bethune-Cookman University. Bethune was also incredibly politically active during her lifetime. Her passion for the voting rights of women led her to join the Equal Suffrage League. When the 19th Amendment was passed, she held night classes to teach illiterate African-Americans to read so that they could vote. She persisted in this despite being threatened by the Ku Klux Klan. She also opened her school library to the public—the only public library in Florida available to African-Americans in the early 19th century. Bethune’s public service work lasted her entire career. She used her charisma and political sensibilities to speak out of the rights of African-Americans, especially African-American women. She was appointed to national government positions by Presidents Coolidge, Hoover, and Roosevelt, and she used these connections to help secure more rights and opportunities for African-Americans. In 1974, a statue of her was placed in a public park in Washington, D.C.; she was the first woman and the first African-American to receive this honor. Information from: University of South Carolina. 2002. Mary McLeod Bathune. http://www.usca.edu/aasc/bethune.htm, accessed January 24, 2011. 2008 Black Women in the Ivory Tower, 1850-1954: An Intellectual History. Gainesville: University Press of Florida. -McCluskey, Audrey Thomas, and Elaine M. Smith, eds. 2002 Mary McLeod Bethune: Building a Better World, Essays and Selected. Bloomington: Indiana University Press.